Showing off your photos is easy enough. But showing off your photos and your videos together—including videos that you may have spread across different services—isn't always that easy, especially when you want to add custom audio files to the mix. Smideo HD 2013 can help: This (mostly) easy-to-use application allows you to create video slideshows that look polished and professional. Before you begin your first project, Smideo shows you how to get started. Smideo's name comes from "Smart Video Creator," and it fits, as the application is smart. 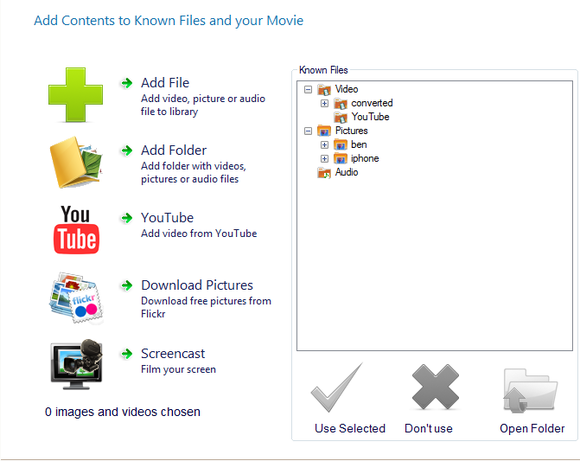 You can try it free for 30 days, but the trial version will not allow you to create HD videos. You have to pay a little over $26 to unlock that feature. 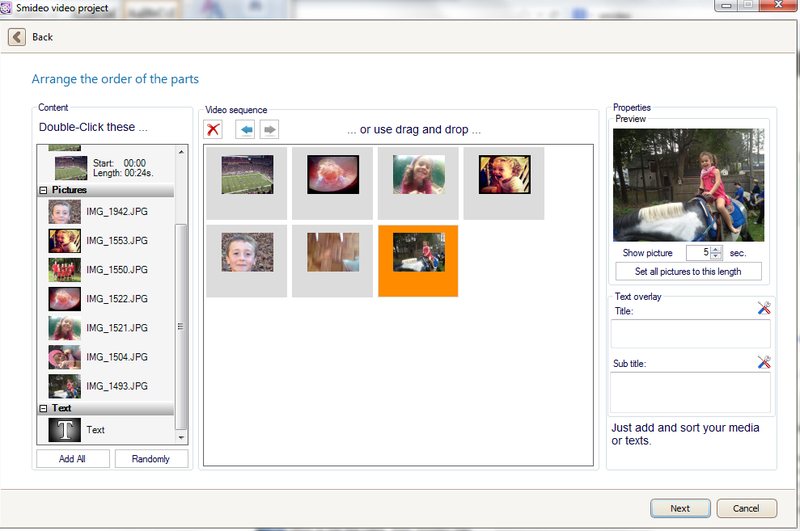 Smideo lets you add files from your camera, hard drive, or those stored in various online photo and video repositories. Smideo's step-by-step approach makes it easy to get started with your project. First, you have to create a Smideo library by populating it with the photos and videos you'd like to use in your slideshow. 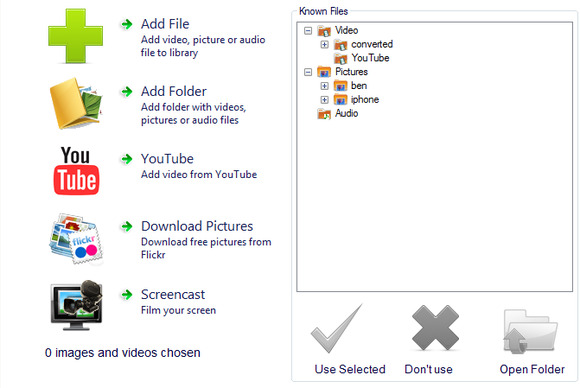 You can add individual files, entire photos, or download content from YouTube or Flickr. Anyone looking to create an instructional video will appreciate that Smideo lets you film your screen and share that screencast as part of your video, too. Once you have your files ready, you select the ones you'd like to use and move on. 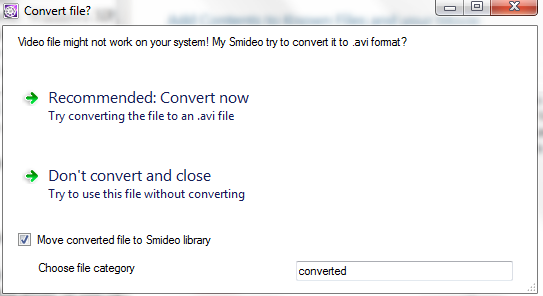 If your video isn't the right file type, Smideo handles the conversion for you. If Smideo gives you the option of cutting any video you've added into smaller chunks. When you move on to the next step—arranging the order of the slideshow—you can insert these smaller video chunks in with the photos you've chosen. You also can add text overlays to your content, and set the picture length as you desire. Next, you add any desired audio tracks to the slideshow. If you'd like you can record your own audio using your PC's microphone. You can sort your photos and videos as you'd like, or let Smideo arrange them randomly. When you're finished, you select the video effects for your finished product: relaxing or dynamic. This changes the transition between the photos and videos in the slideshow, either speeding them up or slowing them down. It would be nice to have more options here. Rival Fantashow, for example, allows you to preview the transitions and lets you use different styles in a single slideshow. Still, Smideo will appeal to home and business users who want control over the look and feel of their slideshow. Unlike Fantashow, it doesn't require that you select a theme the slideshow; Smideo lets your content shine. But its options may prove overwhelming for casual users, who will likely be more comfortable with the hand-holding that Fantashow offers. 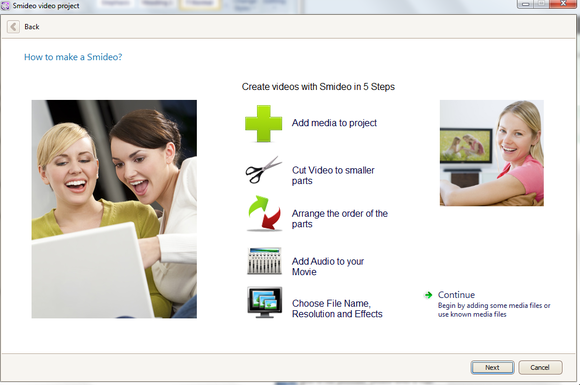 Smideo HD 2013 is a cool tool for creating slick video slideshows.